Choose Hard Rock Cafe Florence for a special evening: romantic dinner, live music by Steven Tadros - Page Band and dance show! Our beef sirloin enriched with tasty grilled prawns in scampi sauce. Vodka flavored with vanilla accompanied by a creamy ice cream, whipped cream and infusion of strawberries. 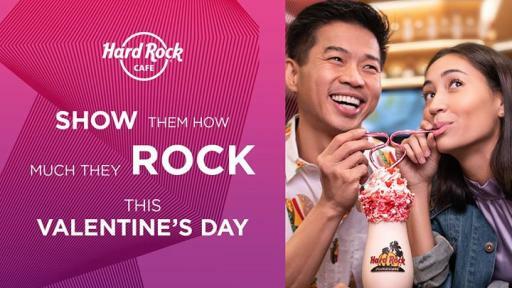 Celebrate Valentine's day at the Hard Rock Cafe Florence: romantic dinner, live music with the Steven Tadros Band live dance show!